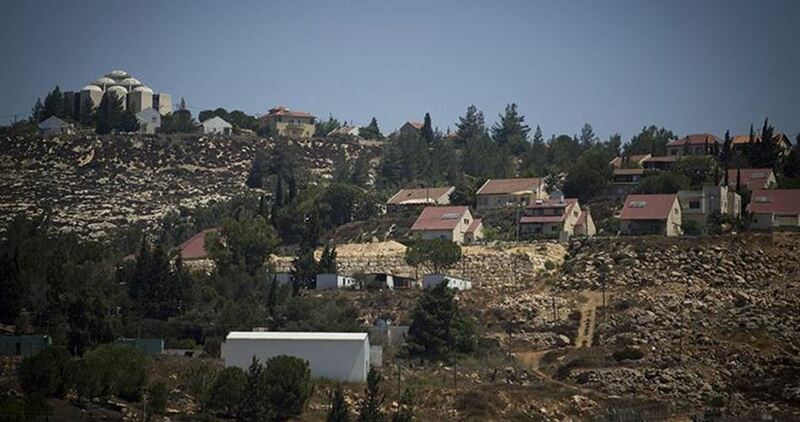 Extremist Jewish settlers leveled on Monday morning Palestinian agricultural land near al-Khader town, south of Bethlehem city, for the expansion of the illegal Sidi Bouaz settlement that was established by force in the area. The anti-settlement activist in Bethlehem, Hassan Breijiye, said that the land leveled belongs to Ibrahim Sbeih from al-Khader town. He told Quds Press that the land leveling aimed at constructing new mobile houses for settlers. Breijiye also pointed out that the illegal land leveling usually takes place in spite of the fact that Palestinian owners of affected lands in that area possess official documents that prove their ownership of the land. An Israeli military camp set up in Umm Zuqa, in the northern Jordan Valley, supplied a nearby illegal settlement outpost with water. The settlement outpost, which was supplied with water, was built in early January 2017 on Palestinian private land, after Israeli settlers brought a herd of 30 cows to the area. 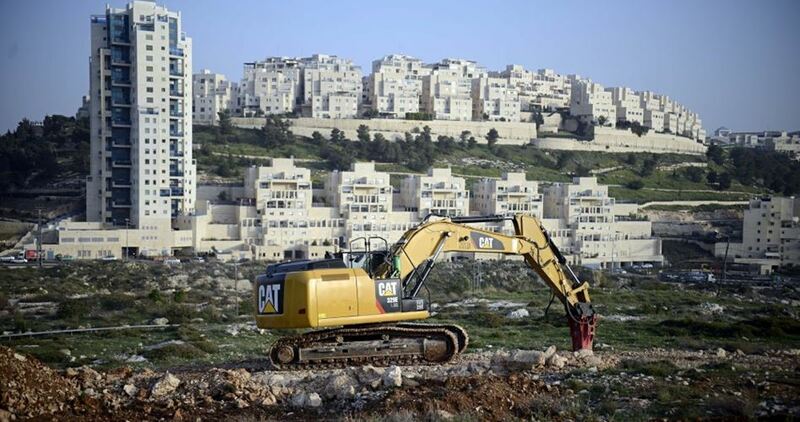 Israel’s coordinator for the government affairs claimed that an order was issued to stop construction works. However, the settlement was established soon after and has been expanding at the expense of Palestinian land lots. The Israeli authorities further installed several water tanks and solar panels in the outpost. Dozens of trees have also been planted. Activists from the leftist Machsom Watch group said Israeli settlers have showed up in the settlement quite frequently. Last week, a pipe running from the largest water tank in the settlement outpost and whose edges were covered with mud was detected in the area in what was believed to be a sign of Israeli attempts to conceal field evidence of illegal settlement expansion. The Israeli cabinet is expected to ratify an agreement after China demanded the condition that Israel not employ Chinese workers in in settlements in the West Bank or East Jerusalem. According to Haaretz, PNN reports, Israel and China have engaged in negotiations for several years over an agreement on Chinese citizens coming to work in Israel. In 2015, the talks faltered over China’s demand that Chinese laborers in Israel not be employed in the settlements. The official reason given by the Chinese was concern for the workers’ personal safety, but officials at the Israeli Foreign Ministry expressed the view that the real reason was political, relating to the fact that China and the rest of the international community view the settlements as illegal and their locations as occupied territory. 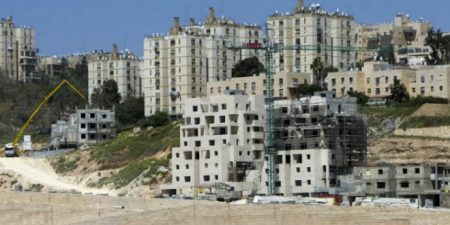 The Israeli Occupation Authorities (IOA) approved Wednesday the construction of 212 new settlement units in Pisgat Ze'ev and Ramat Shlomo settlements illegally built in occupied Jerusalem. Israeli radio said that the approved housing units are a part of a large settlement plan to be implemented during the new US administration era. Last month, the Israeli cabinet approved the establishment of a new West Bank settlement for settlers evicted from Amona, an outpost razed after the High Court of Justice ruled it had been built illegally on private Palestinian land. On Dec. 23, 2016, the UN Security Council voted in favor of a resolution demanding the halt of settlement activity by Israel in occupied Palestinian territory with the United States notably abstaining. Kol Ha'ir Hebrew newspaper unveiled on Saturday a number of new settlement projects and schemes in East Jerusalem that fall in line with an Israeli fierce campaign aimed at displacing Palestinians and seizing their lands in the holy city. 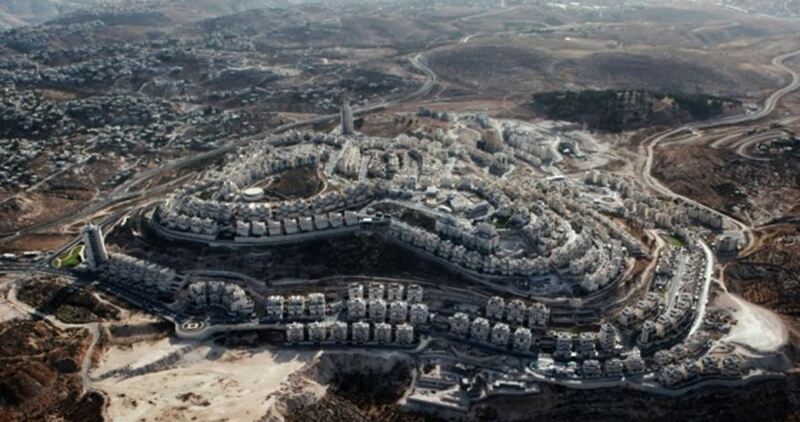 The paper said that about 3,000 new settlement units are either under planning, construction or marketing in Jerusalem. It pointed out that Aharon Company managed to sell 41 settlement units of a new settlement project in Pisgat Ze'ev settlement and now started marketing the second phase of the project which includes 3 buildings consisting of 65 settlement units. The settlement units are expected to be complete by December 2018. Euro-Israel company started marketing a new project in Pisgat Ze'ev settlement which includes 122 settlement units distributed in four 11-storey buildings. The company had marketed 24 settlement units at the end of 2016. 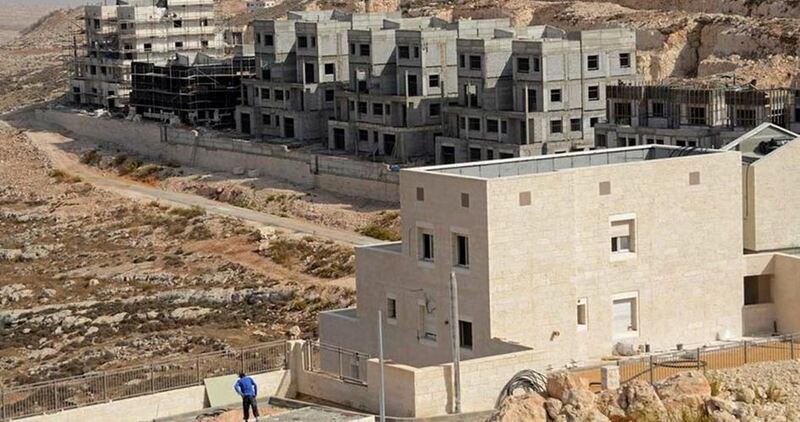 Tserfata Shimon company started selling 94% of the settlement units of the new project implemented in Har Homa settlement which is built in Jabal Abu Ghuneim neighborhood. The project includes three buildings, each of which consists of 9 floors and has a car park, with 142 settlement units. A new project consisting of 122 settlement units is being constructed in Har Homa by Euro-Gold company. 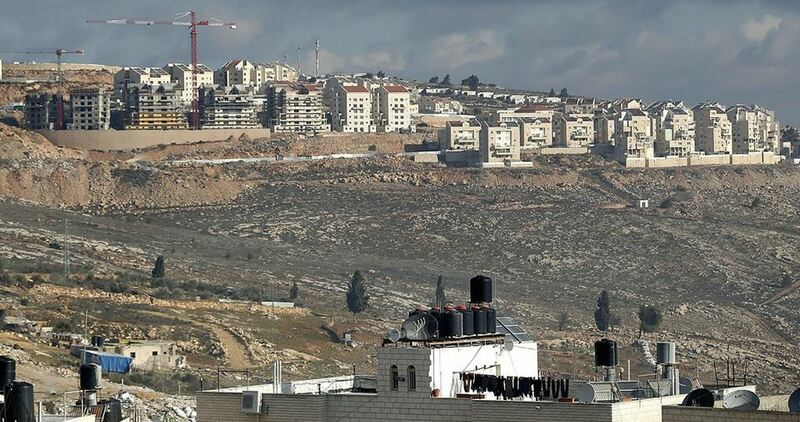 The Israeli company of Dona announced marketing a new settlement project that has 113 settlement units in Gilo settlement to the tune of about 240 million shekels. The Project includes five 10-storey buildings. Aharon company started marketing a new project in the same settlement where four buildings, each with 22 settlement units, will be built. The total number of the settlement units in the project reaches 88. 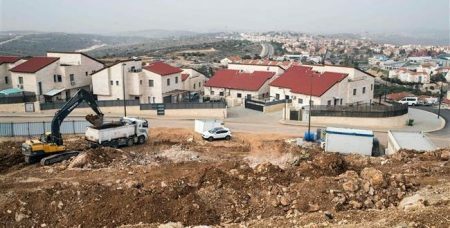 The Israeli Botti Hatikhoun company announced that 30 units of a new settlement project established in Arnona settlement neighborhood are still uninhabited. The project includes a number of 12-storey and 10-storey buildings. The Israeli Ministry of Interior has recently approved transferring about 250 dunums of Mateh Yehuda and Ramat Rachel to an area owned by the Jerusalem Municipality where another settlement neighborhood with 2,000 settlement units is going to be established. In the future, the new two neighborhoods will be linked and a new road will be built stretching from the two neighborhoods to al-Khalil street and Ramat Rachel outpost. Hasidi Brothers company completed the construction of the second tower of its new project in Arnona which is considered the highest residential project in Jerusalem. It includes two 24-storey towers consisting of 194 settlement units. The Israeli Ministry of Finance published last week a tender for the construction of 70 settlement units in Beitar Illit settlement. Euro-Israel company is currently constructing 78 settlement units in Neve Yaakov settlement, 32 in Ariel settlement and 96 in Modi'in Illit. Israel’s ministry of finance on Sunday announced the success of its marketing plan for the building of 3,607 housing units in the new neighborhood of Modi'in-Maccabim-Re'ut settlement, west of Jerusalem. According to Haaretz newspaper, 70 percent of these planned units were sold at reduced prices to buyers who have no homes and whose names are already registered at the ministry of housing. The other units have been set aside for local buyers and will be sold at market prices. The plan is part of Israel’s reduced-price housing program that is aimed at encouraging Jewish couples to live in settlements. Palestinian human rights sources revealed Saturday a new Israeli plan to confiscate dozens of dunums of Palestinian-owned lands west of Salfit. The local activist Khaled Maali affirmed to the PIC reporter that the so-called Israeli Civil Administration declared intention to build a new university in El Kana settlement at the expense of dozens of agricultural dunums west of Salfit. Bulldozing operations have already started in the area without notifying the lands’ owners of the confiscation orders, he pointed out. In December 2016, the UN Security Council passed a resolution that declared all settlements in the West Bank and occupied Jerusalem to be illegal. 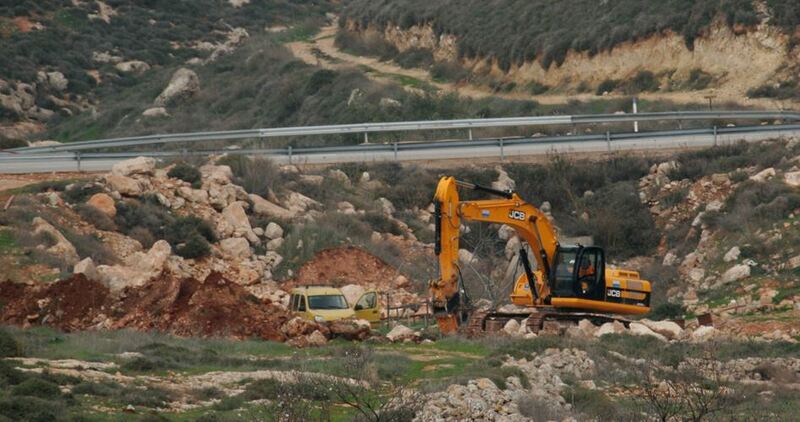 Israeli settlers bulldozed Palestinian lands in Broukin town, west of Salfit, to expand the Ariel industrial zone. A PIC news correspondent said Israeli bulldozers leveled Palestinian cultivated lands and ranches covering 20 dunums in Khilet al-Zaafaran, in Broukin. Researcher Khaled Maali said the move makes part of Israeli attempts to build more factories in the Ariel industrial zone, in an act feared to destabilize even further the Palestinian ecosystem. Maali added that four Israeli industrial zones have been established on Palestinian land in Salfit, in flagrant infringement of international law. Israeli Prime Minister Benjamin Netanyahu approved Thursday evening the confiscation of 977 dunums of land from Palestinian villages south of Nablus for the establishment of a new settlement for the evacuees of the illegal Amona settlement. Earlier in the day, the Israeli Security Cabinet unanimously approved the establishment of a new settlement for the former settlers of Amona, an illegally constructed outpost in the West Bank that was evacuated in February. According to Yediot Ahronot Hebrew newspaper, this is the first time in 20 years that the Israeli government has decided to establish a new settlement. The new settlement is to be located in the Shiloh Valley near Nablus, the sources added. It also said the government had approved tenders to build 2,000 new housing units from previously approved settlement projects. In December 2016, weeks before Trump was inaugurated, the UN Security Council passed a resolution that declared all settlements in West Bank and occupied Jerusalem areas to be illegal. Trump condemned the decision at the time. 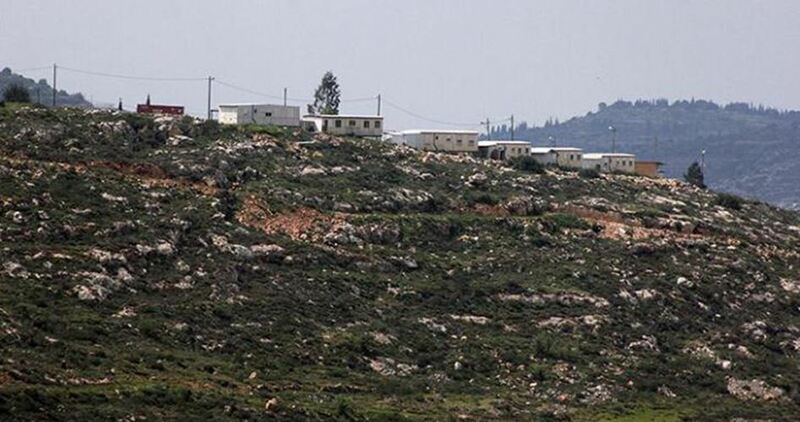 The Israeli government is planning to illegally confiscate 100 Dunams of Palestinian lands, in Salfit district, in the northeastern part of the occupied West Bank, to build a college and many colonialist units, in addition to planning two railroad lines. Jamal al-Ahmad, the coordinator of the Committee for Defending Salfit Lands, stated that Israel wants to build a technical campus belonging to “ORT Israel” college, in addition to constructing 250 colonialist units on Palestinian lands in Masha and az-Zawiya villages, west of Salfit. Al-Ahmad added that Israeli is also planning two railroad lines on Salfit lands, to link the colonies in the area with Tel Aviv, and that Israel is constantly expanding its industrial areas on the expense of the Palestinians and their land. Talking to Maan News al-Ahmad said that Salfit is subject to most of Israel’s illegal colonialist activities, especially since it is comprised of 204 square/Kilometers, and most of its lands (%74.5) are in Area C of the West Bank, and complete Israeli civil and military control. There are 18 Palestinian communities in Salfit, with 72.000 inhabitants as shown by statistics of the Palestinian Census Bureau in its 2016 survey, while the number of illegal Israeli colonists in the area Is around 55.000, in addition to 15.000 students studying in Ariel colony college. Israel has 28 colonies in Salfit, including Industrial Zones in Ariel, Buchanan, Ze’ev, Emanuel and Carnie Shomron, while their chemical waste is devastating the Palestinian agricultural lands, in addition to the serious environmental damage. Al-Ahmad stated that all Palestinian communities in Salfit are constantly suffering due to the ongoing and escalating Israeli violations, and are becoming more isolated and fragmented, surrounded by illegal colonies and army bases. “The world needs to know what Israel is doing; the ongoing theft of Palestinian lands, the isolation of Palestinian communities, in addition to all crimes and violations of International Law, the Fourth Geneva Convention, and all related agreements.” He said. He also stated that the strategic aim is ongoing resistance to Israel’s violations, especially its colonies, and that the current focus is on trying to find support for prosecuting Israel, preventing the annexation of Palestinian lands, and helping the villages. The Israeli Knesset’s Finance Committee on Monday approved the transfer of 57 million shekels to West Bank settlements. Israeli radio said that 27 million shekels were transferred as a “grant” to West Bank settlements’ councils. In addition, the Committee agreed to provide 30 million shekels for the purpose of “bulletproofing” Israeli buses used in West Bank settlements.